Make Mine An Old Fashioned Flask | BUDK.com - Knives & Swords At The Lowest Prices! 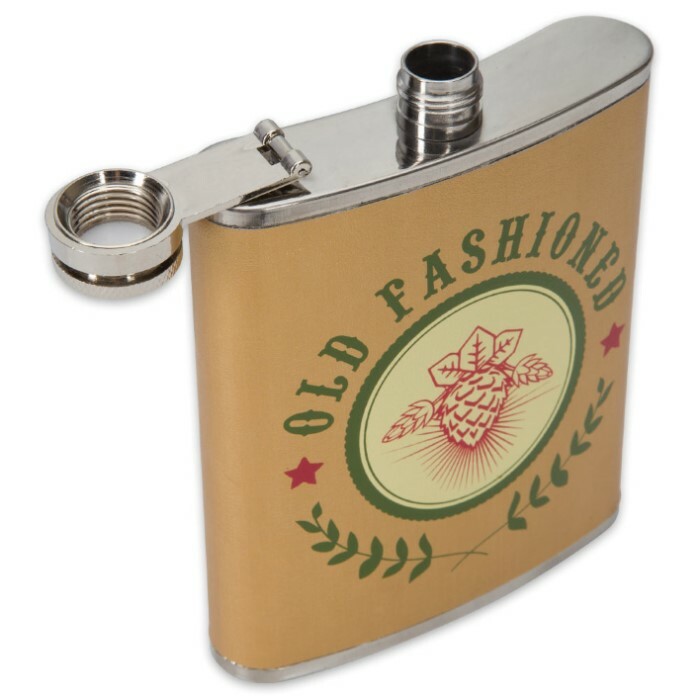 Make mine an old fashioned and make it to go in this beautifully designed Old Fashioned Flask! 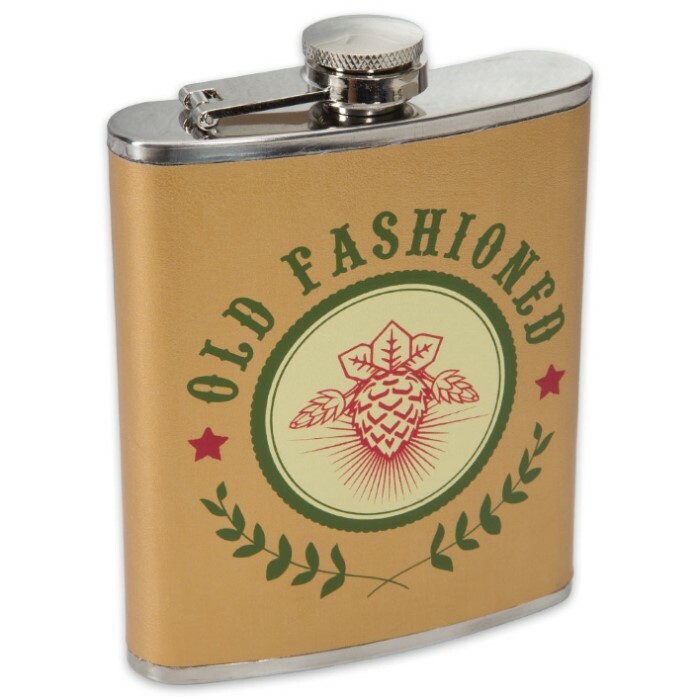 The gold traditionally designed stainless steel flask has colorful artwork, which includes the words “Old Fashioned”. It will hold 7 oz of the tasty bourbon and bitters drink so that you’re never dry!